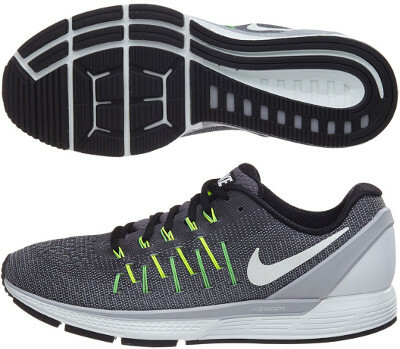 Nike Air Zoom Odyssey 2 are stability cushioned running shoes. The Nike Air Zoom Odyssey 2 updates the proposal from the american brand within such competitive segment of premium stability shoes where even Adidas has introduced the Ultra Boost ST. Positioned one step above Air Zoom Structure 19 featuring vast cushioning and 12 mm drop, the Air Zoom Odyssey 2 is a great option for those runners looking for support in long runs. Major change compared to its predecesssor Air Zoom Odyssey takes place in the redesigned upper which keeps the seamless and breathable Flymesh™ already available in other Nike running shoes. Reengineered heel counter provides improved stability from the rearfoot and Flywire™ technology wrapping midfoot has evolved towards simpler geometry based on popular Air Zoom Pegasus 33 for snug and secure fit.